In the wake of recent legislation enacted in the United States to legalize crowdfunding (for investment purposes), commonly referred to as the JOBS Act, some Canadians have started to wonder whether we can expect similar legislation North of the border anytime soon. With that in mind, a conference designed to spark the ‘Conversation on Crowdfunding’ convocated yesterday in Toronto to shed some light on the burning question – is legalized crowdfunding coming to Canada? While Canada may have emerged from the ‘08 Financial Crisis in stable condition, a lot of uncertainty still lingers in the air about the future of our nation economically. With a massive dependence on resources, a serious lack of innovation and a housing market that is starting to show signs of a bubble, Canada is far from being immune to economic troubles. That’s why there is no better time to be kickstart the ‘Conversation about Crowdfunding,’ an event that was held yesterday at the Centre for Social Innovation in Toronto. The event was highlighted by an appearance from Sherwood Neiss, one of three American entrepreneurs who lead the push to legislate the American JOBS (Jumpstart Our Businesses) Act, and a panel of Canadian business and law experts who are spearheading the charge to legalize crowdfunding for investment purposes in Canada. The place was packed, as Canadians of all ages tuned in to hear Sherwood’s story and learn about crowdfunding in the Canadian context. Why is crowdfunding relevant to Canada? Crowdfunding is a new funding model where a lot of people each contribute a small amount of money to fund projects they love. Through technology and social networks, crowdfunding leverages the power and wisdom of crowds to make great projects come to life. Cultural, creative, social or startup, crowdfunding has evolved from its embryonic state, when Kickstarter launched in 2009, into a full-fledged global movement. 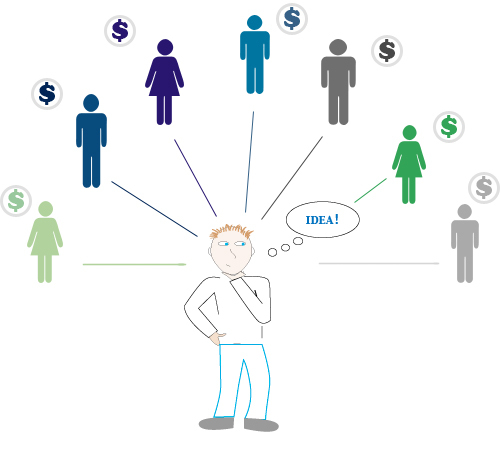 In its original context, crowdfunding is done by collecting donations from the crowd in exchange for social rewards; a new model of crowdfunding is emerging, however, one that allows everyday people to actually invest (buy equity) in new ventures and small businesses. 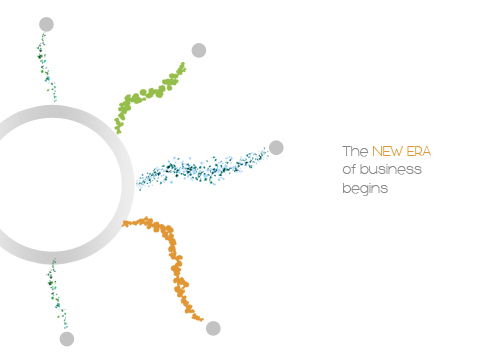 Commonly referred to as crowdinvesting (see post Strategy Session: Crowdinvesting + The Entrepreneur), or crowdfund investing, this model will effectively democratize the finance landscape and redefine how early-stage ventures are financed globally. Earlier this year, the United States became the first country to legalize crowdfunding on a national level with the passage of the JOBS Act, while last week UK-based Seedrs became the first regulator-approved crowdfunding platform to launch in the world (see post Finance 2.0: Wall Street Meets the Web). Why do we need to legalize crowdfunding? Due to ancient security regulations, it is illegal to solicit investment from ‘the crowd’ in Canada without first filing a prospectus. Yesterday’s event was designed to start the movement towards legalizing crowdfunding in Canada, with Sherwood Neiss providing the inspiration following his group’s amazing effort down South. He and his team led a 460-day charge that started as a Thanksgiving conversation at the dinner table and ended with President Barack Obama signing it into law. Following a review period by the SEC, everyday Americans will be able to invest in small businesses and startups from the comfort of their living room from coast to coast – legally. Everyday Canadian citizens who want to become armchair investors in emerging Canadian companies may soon get their chance, as it is anticipated that with a coordinated push we may see crowdfunding legalized in Canada (securities regulation is provincial) by mid 2013. The real shift required to make crowdfunding work, however, is a cultural one. Crowdfunding culture is collective, it’s collaborative and it requires buy in across disciplines, demographics and generations. Does Canada have what it takes to create a culture that supports crowdfunding? I guess we will find out. Sherwood did a great job to light the fuse and many well-connected Canadians have gotten involved to make the political push, but the x-factor is whether or not Canadians want this bad enough to make it happen. 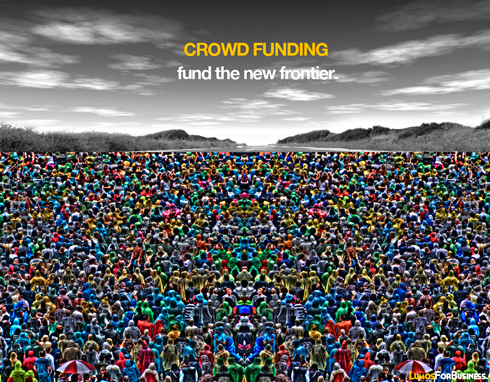 Queue the crowdfunding movement in Canada?